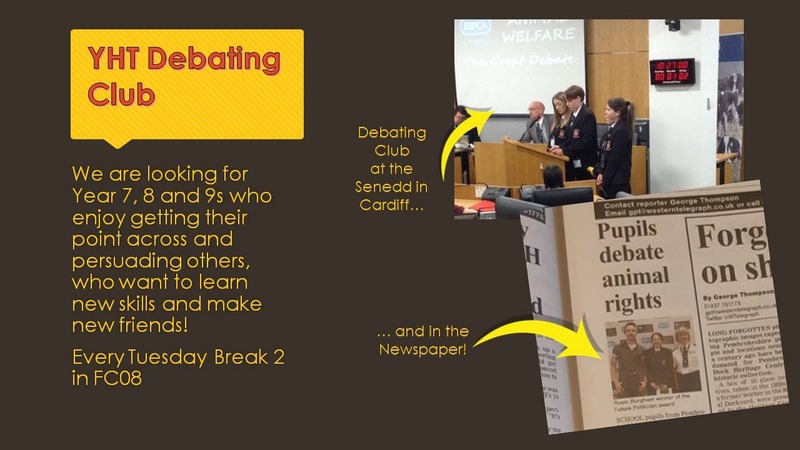 Ysgol Harri Tudur's Debating Club takes place every Tuesday during Break 2 in FC08. Currently we are recruiting pupils in Years 7, 8 and 9 to the club. 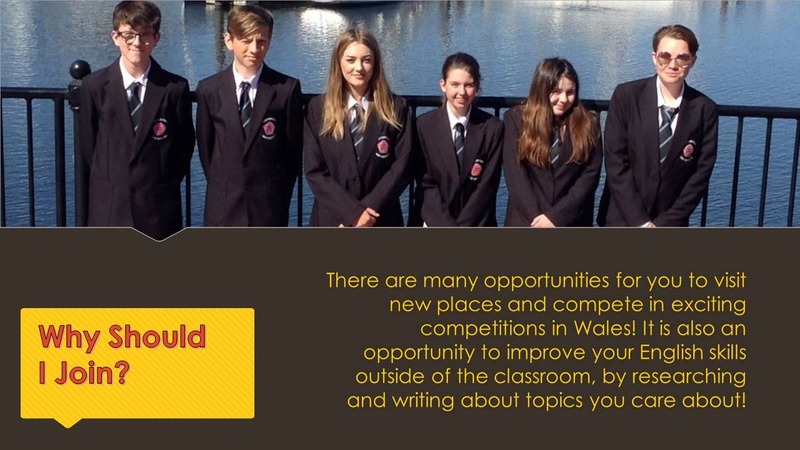 NEWS: After presenting their arguments on whether there should be a National Health Service for Animals, our team of 7 pupils will now go on to represent West Wales in the Great Debate final at the Senedd on Friday 21st June.